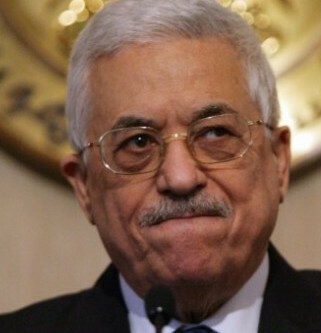 Palestinian President Mahmoud Abbas has announced that the Palestinian Authority will join the International Criminal Court (ICC), a long overdue action which potentially could bring the state of Israel to an international courtroom at the Hague. Instead of preparing to defend its conduct as an occupying military power, Israel has fallen back on its usual form of punishment, withholding tax funds it collects on behalf of the Palestinian Authority. Why, we must ask, does Israel collect tax funds from Palestinians and then return the funds to the Palestinian Authority to finance its government? The quick answer is that Israel is the controlling military and economic master on all such matters in the West Bank and Gaza. You want to pay the tax collector? You pay through Israel as the tax collector. Israel also handles matters of the security which it enforces through its own military force, the IDF, and with police forces it controls under the Palestinian Authority, a control that has been going on under increasingly draconic rules, since 1967. The international community knows that this control of a neighboring people is illegal and its length unprecedented. And yet, the international community stands mute, with only the occasional peep of protest. “There is something rotten in the state of Israel”, sounds an alarm for modern times, updated from Marcellus’ warning as he spoke with Horatio about Denmark in William Shakespeare’s Hamlet. 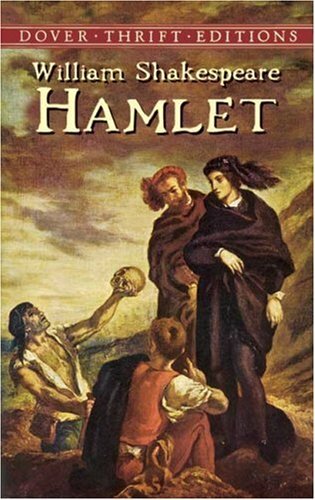 In Act One, Marcellus and Horatio are talking on the battlements of the castle of the new king of Denmark, Hamlet’s Uncle Claudius, who had murdered his brother, Hamlet’s father King Hamlet. In the play, Hamlet, who seeks revenge against his uncle, has just left his colleague on the battlements to follow the Ghost of his murdered father. Hamlet knows, as Shakespeare notes, that there is “something rotten in the state of Denmark”. The Ghost will show him what to do. Denmark’s governmental rottenness begins within the King’s palace, where Uncle Claudius is now married to Hamlet’s mother, a marriage which took place “within a month” of the death of Hamlet’s father. There is today a rottenness at the leadership level in the modern state of Israel, which over decades has developed in a state whose current government considers itself “exceptional” and beyond all criticism. It is this rotten condition that tolerates lawlessness in the occupied territories, a lawlessness that both randomly and systematically, kills, wounds, destroys and imprisons at will. If President Abbas continues on his present course, he will challenge this “exceptionalism” which operates above legal and moral standards. By joining the International Criminal Court (ICC) Palestine will be in a position to bring criminal charges against Israel. Like a bully on the playground who holds a kid’s lunch money high over his head, Israel holds the tax funds it collected for Palestine, returning the funds as Israel wills. It is rotten because it is wrong, illegal and immoral. Riyad Mansour, the Palestinian ambassador to the UN, put it succinctly when he described Israel’s withholding of Palestinian tax funds as “blatant theft”. Israel has made this threat before, and then, after withholding Palestinian tax funds sufficiently to cause further pain in Palestine’s economy, quietly released the funds. Will it repeat this again? Only Israel knows. “There is trepidation in the Zionist ranks over the March 2015 elections for a new Knesset, or parliament. It seems that Prime Minister Binyamin Netanyahu got angry at his more “liberal” coalition partners, Tzipi Livni and Yair Lapid, because of their opposition to the proposed Israel-equals-a-Jewish-state bill. In essence he fired them, sacrificing the government’s majority in the Knesset, and necessitating the upcoming elections. Some observers believe that the election represents something of a crossroads for the Jewish state. Roger Cohen, a New York Times columnist, wrote a headline piece in the Sunday Review section of the newspaper on 21 December 2014. It was entitled “What will Israel become?” and tells us that “uneasiness inhabits Israel”. Liberal Zionists like Cohen are trapped between their loyalty and devotion to Israel and their obvious awareness that Israel’s current leadership is driving their nation into what Amos Oz sees as an “isolated ghetto”. What they do not want to accept is the reality that after decades as an occupying military force, Israel has already sunk itself into an isolated ghetto. Only drastic change that addresses the rottenness of Israel’s government will even begin to halt this plunge into the ghetto the Jews of Europe thought they left behind in 1948. That is a worthy beginning for the Israeli President, who unfortunately does not possess any power other than ceremonial. It is, if we may recall a familiar quotation, one small step for mankind. Israel still has a long journey ahead to escape total isolation. This entry was posted in Israel, Middle East, Netanyahu, Palestinians, Religious Faith. Bookmark the permalink. For “Israel..to escape total isolation” could be a disaster for it and for Palestinians. The chutzpah of the extremist right, should Netanyahu return to power, is feared less by many Palestinians than the return of the interminable ‘peace process’ threatened by the Labor/Livni bloc with its more subtle entrenching of the occupation. Isolation may be a necessary precursor to justice. Jim, I totally agree that there is something very rotten in the state of Israel. It started with usurping Palestine in 1948 and 1967, and exiling 80% of the Palestinian Natives of the Holy Land. It continues with more land theft, as it builds settlements on more Palestinian lands and brings in 600,000 terrorist settlers from the US and Russia and other lands. Israel’s apartheid DNA, pogroms, invasions, and massacres make it even more rotten to the core. Now that Israel has sucked all it can from the Palestine Authority, it is ready to spit it out, unless it “behaves” and follows Israel’s orders. Palestinians have to choose new, young, secular, independent leadership that can “think outside the box” and that can work with allies on the Palestinian and Jewish sides to build ONE SECULAR DEMOCRATIC STATE where all people have equal rights and can reside, work, and play anywhere and everywhere in the Holy Land. Thank you Jim for reminding us of Hamlet. Indeed there is something rotten. The theft of tax money does not compare to the theft of a whole country. So what else is new??? There has been something rotten in the state of Israel since it’s establishment based on ethnic cleansing and Jewish supremacy laws, establishing an ethnocracy in former Palestine. There is also something rotten in the state of the USA for supporting ethnic cleansing, apartheid, and laws that discriminate and persecute non Jews, as well as the slaughter of over 500 children with US weapons this past summer. Thanks, Jim. And, so far as we know, no objection has come from either President Obama or Mr. Kerry. The irony in all this is that these actions move Israel closer and closer to the one state solution Amos Oz says will be the end of Israel. Thanks for your continued analysis of an unjust and immoral situation, and your support of the Palestinian people. I will send your writings to my reps. for all the good it does, since they are paid off. When is the U.S. (and other western nations, for that matter) going to realize that negotiations don’t work. Officials in Israel have said that they hope “negotiations will go on for 100 years.” And why would they say that? Because, Eureka! They will have 100 years to build settlements all over the West Bank and kick the Palestinians out. As long as negotiations go on, Israel has no incentive to come to any agreement, but lots of incentive to hurry and build more settlements.